Mason jars. Aren’t they just fantastic? Not like a ‘Bananas Foster’ kind of fantastic, but more like a ‘ooh, look!’ kind of fantastic. I already own a not-so-modest selection of small & medium glass jars that currently sit on my shelf showing off their pale hues to one another in anticipation of being called upon for my random storage needs, but then Pinterest beguiled me last Saturday morning with the idea of ready-to-eat ‘grab & go’ salads in mason jars. In that precise moment, the moment in which I brought my iPhone closer to my face so I could actually see what was on the screen, I heard cherubs plucking tiny golden harps. Honest to God. I’m not a fan of office lunches. Mostly because my weekday lunches in our small office kitchen are boringly uneventful, and the selection of food that is available for purchase in the immediate walking area surrounding LAX airport, pales in excitement compared to my grandma’s knit sweater. I either have the option of buying overpriced food at one of the fancy airport hotels nearby, or I can go to the only 2 places available that are within walking distance, neither of which is particularly exciting. About half the time I end up packing my own lunch at home, but getting up at 05:30A to do so is most definitely not fun, and my packed lunch usually symbolizes this pre-dawn Beowulf mindset. So when I saw these mason jar salads on Pinterest last Saturday morning, it felt like I got struck by lightning… Not only do they look so very tasty & fresh, they require zero prep in the morning. BINGO! As an added bonus, my colleagues can do all the shoving they want in the office fridge, since my salad jar fits in the refrigerator door and is not exposed to the brutality that is a community refrigerator. Since I have an impulsive streak, I can tell you that by Saturday afternoon we were at our local hardware store and by Sunday morning, my 12 shiny new quart-size mason jars had gone through 2 hot cycles in our dishwasher. When I open the refrigerator door now, and see my colorful mason jar salads neatly lined up on the shelf, it almost makes Monday mornings feel like less of a satanic cult a drag. Almost. I used quart size jars, but feel free to use pint size jars or any size jar you like, really. Just keep in mind that for these salads to last the full 5 days that they reportedly stay crisp and fresh, you have to layer them properly. If they aren’t layered properly, fuhgettaboutit!. Also, keep the dressing in the bottom and don’t shake or tip them. You want that dressing to live its lone solitary life in the bottom of the jar until such time you’re ready to dump & eat. 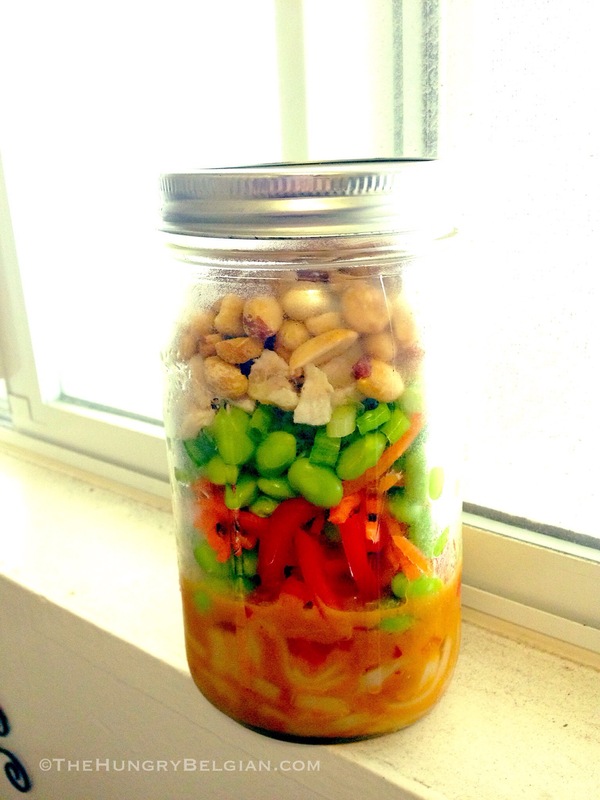 I posted an Asian Chicken Salad below that I found on foxeslovelemons.com, but you can let your creativity run wild. The idea is to place all your salad toppings in the jar first and end with lettuce, so that when you dump the jar out into a bowl or on a plate, you have a no effort gorgeously crisp salad to eat without any prep. 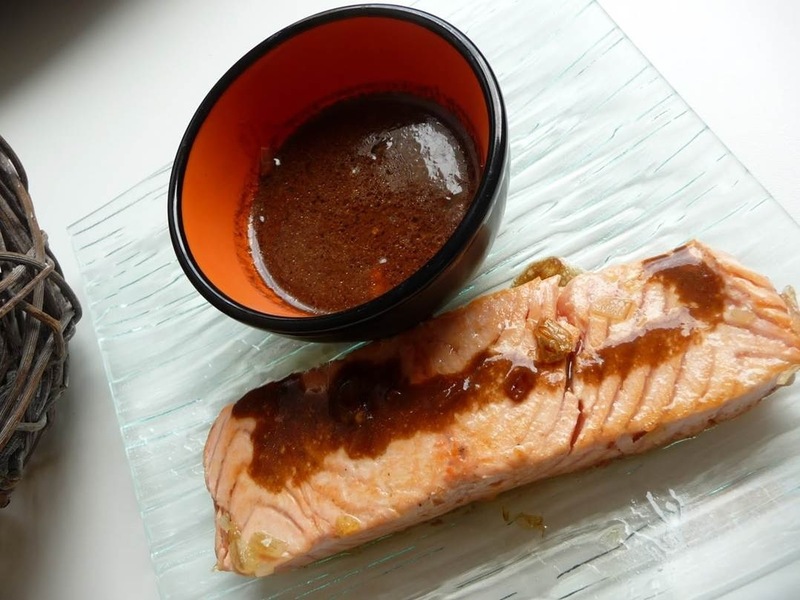 BOTTOM: dressing. Use dressing that easily pours out of a jar. I used simple vinaigrette variants, but if you like creamy dressings, dilute them a little with cream or milk so they’ll easily come out. In a quart size jar, you want to cover the bottom ½ inch. It’s tempting to add more, but it’s not necessary. THIRD LAYER: nuts, cheeses and meats. This is where the final toppings come into play. They are far removed from the dressing and stacked to ensure your salad stays crisp and fresh for up to 5 days. TOP LAYER: lettuces. Unless you shake or tip the jar, which is a no-no in jar salads, your lettuce will stay crisp and fresh just like it would if you were to store it by itself. If you follow the above layering order, you should end up with easy ‘grab & go’ salads that will stay fresh & crispy in your refrigerator for approx. 5 days. If you’re like me, and you lack time on weekdays to get everything done that you need to in the first place, then these are a godsend come lunch time. I don’t know who came up with this idea but whomever you are, I bow to your genius. Boil noodles according to package instructions. Drain, rinse with cold water and allow to cool completely. Pour dressing (see below) into each jar, until approx. ½ or ¾ of an inch in height. You don’t need any more, trust me. Sprinkle a handful of edamame beans on top of the bell pepper, then top with soybean sprouts. Finish veggies with a layer of diced chicken and top with peanuts. Screw lid on jar and refrigerate. Repeat with remaining jars. Put everything in a small mason jar and stir to dissolve peanut butter just a bit, screw on lid and shake vigorously until well-combined. Yes. You read that right. 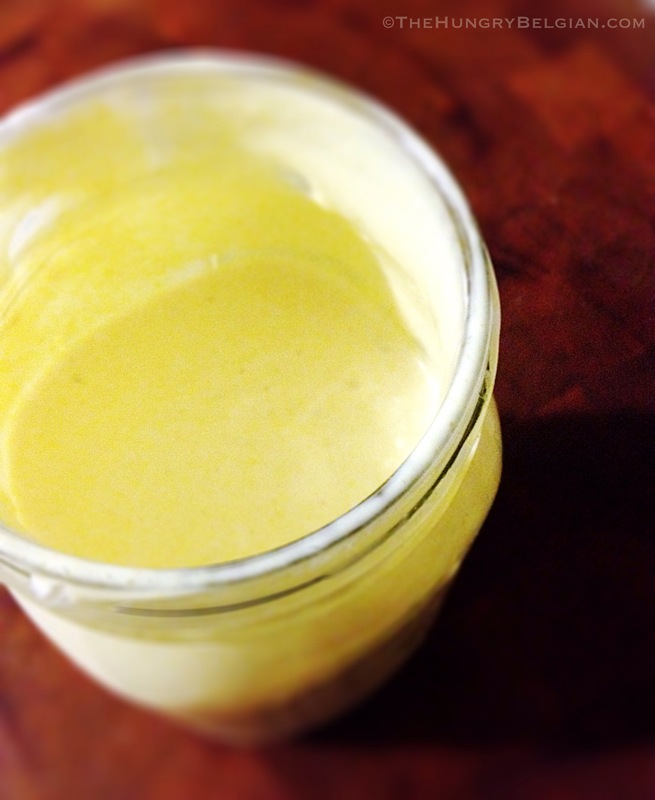 This is a post about beer vinaigrette, because, well, I’m Belgian. Full stop. Beer goes into everything in Belgian cuisine. As matter of national pride, it’s practically a sin not to include beer in your food. I figured that with the massive volume of salads being eaten nowadays, what with it being nary 3 days into the new year and all, I would contribute a refreshing new take on dressing for those of you who are dead tired of Dijon vinaigrette or plain ole’ ranch. After all, variety is the spice of life, no?! I really have no specific story attached to this recipe, other than perhaps the incident in which I was caught enjoying a pint whilst cooking and accidentally knocked over my $9.75 bottle dark beer from the Leffe abbey. Besides defiantly dripping from my kitchen counter, it also made in into my bra our salad dressing for the evening, et voila… I firmly believe that this is the fashion in which much culinary greatness is discovered. I mean, how else have we learned to eat stuff like snails? Right?! At some point, someone in medieval times must have looked at those and said: “Yummeth! 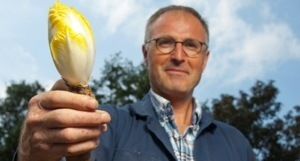 I shalt grilleth those with alliums!”. Or how did humankind ever figure out which mushrooms were edible and which ones weren’t? And may I remind you that back then, there was no Pepto-Bismol or wet wipes? You’re welcome. No, I think the best recipes come to fruition by simply trying stuff out or, like in this case, purely by accident. Going against all odds, this earthy vinaigrette is lovely as a dressing for grilled seafood, a potato salad or for more robust salads like a traditional steakhouse salad with spinach, blue cheese and grilled strip loin. It pairs surprisingly well with roasted root vegetables, or more hearty greens like kale. Throw some crumbled bacon in your salad, and this beer vinaigrette is just divine. – 1 small bottle (10-11oz) of dark stout beer, preferably a Belgian abbey beer like dark Leffe but Guinness will do as well. Open beer, pour in a glass container and allow to de-fizz for an hour or two. Resist urge to drink it. In a small saucepan, pour flat stout and bring to a simmer over medium-low heat. Simmer for only a minute or 2-3 to allow alcohol to evaporate a bit, stir honey in beer and cool to room temperature. Alternatively, if you don’t mind having a wee bit of alcohol in your dressing, you can skip “cooking” the beer altogether. In a small pan, sauté the chopped shallots and minced garlic in a little bit of olive oil or butter until softened. Set aside and let cool. Combine room temperature beer with shallot mixture and all other ingredients, and whisk well to incorporate everything. Store in a glass or non-reactive container in a cool place, and shake before each use. The other day, I was on the phone with a friend from Belgium, chatting in Dutch or ‘baby language’ as my All-American family calls it. Having landed here well over 13 years ago, my brain is firmly lodged in English and I find that there are certain Dutch words that have completely vanished from my ‘old world’ vocabulary… Consequently, my conversations in Dutch tend to be more of a linguistic comedy of errors rather than anything else, and they tend to be laced with free interpretations of what I feel certain English words should sound like in Dutch. It irritates my scholastic mother to no end when she hears me stomp my way through Flemish, and she will immediately revert back to her 7th grade school teacher self upon hearing a word that I mispronounced, or worse yet, doesn’t exist! If I dare confess that I have forgotten a word altogether, well, all bets are off. Without fail, she arrives on my Californian doorstep with a stack of Flemish tabloids and cooking magazines she acquired to entertain herself on the 16-hour flight over here, and makes it a point to ostentatiously hand those to me with a firm, somewhat patronizing announcement that reading those will help me maintain my mother tongue. I haven’t yet been handed any homework assignments, but I’m fully expecting those to kick in should my Dutch proficiency drop below the level of acceptance on my mother’s learning curve. On the other hand, she quit her English class in her home town because she got homework it wasn’t fun anymore and she was only taking the class to gain English proficiency for social pleasantry… Besides, it’s universally known that wherever my mother travels, people should just learn to speak Dutch already. Full stop. The recipe below is a free interpretation of one I found in my mom’s leftover magazines. I came across it when I was hell-bent on purging my ‘old’ stack, in anticipation of the glossy new stack of magazines that will arrive in early October. They had been sitting on our bedroom floor, strategically placed as a feline perch, for the past 12 months. It’s not that I dislike these magazines, as a matter of fact, I’ve asked my mom to bring some more, but prior to ownership of an iPhone, converting measurements from the metric system into the wrong American system was a real pain. Now that I have an app for that, it’s a breeze. And how pathetic is that? So much for all those tedious hours my mother spent patiently sitting at the kitchen table with me, teaching me decimals and fractures using pickled gherkins and carrots… If only Steve Jobs would have sent her memo back then that he was working on a technological break-through, she could have been watching those endless reruns of ‘Paradise Island’ after all. Cut peel & white-ish rind from the orange, leaving the fruit whole and exposing the bright orange flesh in each ‘pocket’ or partition. With a sharp knife, slice orange flesh out of each ‘pocket’. Try to leave the fleshy orange wedges as whole as possible. When all flesh is removed, take orange and squeeze out remaining juice in a separate bowl. In bowl with squeezed orange juice, add egg yolk, garlic, vinegar, cayenne pepper and salt & pepper, and whisk brusquely to combine. Gently and in a thin steady stream, add olive oil whilst whisking feverishly, to emulsify the dressing into a smooth liquid. 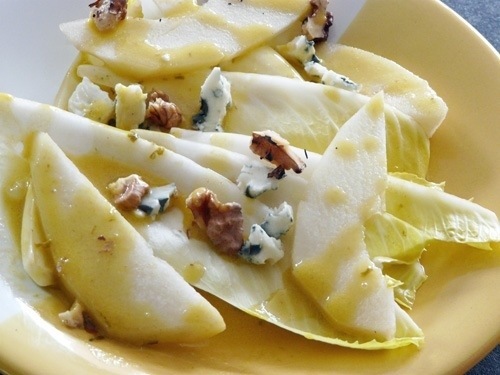 If you add the olive oil too rapidly, the dressing will not combine properly. Set aside. Remove stems and outer leaf from fennel bulbs. Pluck a few fresh, young leaves from the stems and reserve as garnish. Discard stems. With a mandolin, shave fennel bulbs into thin slices and set aside. Slice pomegranate in half, and remove bright fleshy red seeds for their pocket. Set aside. Peel & slice avocado into thin wedges. 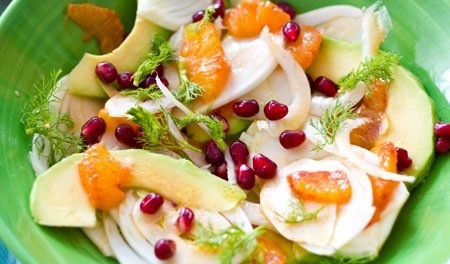 In a large bowl, very gently combine fennel, avocado & orange wedges. Pour dressing over the salad, and gently toss to spread the dressing. Sprinkle pomegranate seeds over the top and decorate with the reserved fennel leaves. Sprinkle some more salt & cracked pepper over the salad, if so desired. To make this salad a meal, serve with some freshly grilled shrimp from the barbeque! Delicious! Ugh. It’s been hotter than a tandoori oven here in Southern California. We’ve seemingly landed firmly in the mid to upper 90’s at the beach, and we’re not headed anywhere cooler any time soon if Tootsie Farklepants the forecast is correct. Combine this with the complete absence of our usual ocean breeze and the rising humidity, and it’s downright hell in our non-air conditioned apartment. I recognize that this muggy grossness is probably a fine day on the porch in the South, but for us temperate coastal Californians, this kind of heat is downright brutal – and frankly, unacceptable in the ‘Book of Helga’. Despite it being extra-ordinarily hot & muggy lately, California weather is not my cup of tea in general. Over the years, I’ve been asked countless times what I miss most from Belgium, and as I’m writing this, it dawns on me that it’s not chocolate or quaint cafés, or even abbey-brewed beer. It’s not my friends or family (they visit, after all), or the many French-Fries-on-wheels that dot the town squares, nor is it ‘zoute haring’ or mussels. I miss ‘seasons’. Dreadfully. Southern California is perpetually stuck in its own ‘non-season’ with year-round pleasantness of 75F and mostly sunny blue skies. Every now & again, temperatures dip well below 60F, at which point we collectively shiver and ‘Brrrr…’ our way through Starbucks’ hot beverages assortment and whip out our sheepskin-lined flip flops, you know, the Winter-kind that keeps the top of your foot warm but still allows you to show off that killer pedicure you paid $45 for. There’s a deep-seated seasonal confusion here in La La Land Los Angeles. Spring & Summer range from sunny warm to hot and are exactly alike, with the exception that in Spring your kids are still in school and your house stays moderately clean throughout the day. Most of the time Fall is simply an extension of Spring or Summer, only slightly cooler and with the gratuitous option of dressing up slutty for Halloween. And in Winter, we get crisp evenings and occasional moderate rainfall, which prompts us all to drive like a troupe of aging circus folk and cover our cars with giant weather-repellent plastic out of fear our paint job may suffer damage. With all meteorological bets off lately, I hold no hope for stew and hot pumpkin lattes any time soon. 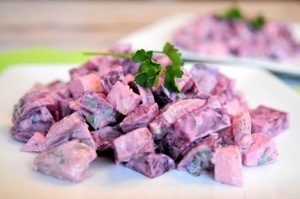 I am letting you know right now that you are not obligated to like this potato salad, but once you take a sumptuous spoonful of it, I know you’ll fall in love because… BACON! Bacon vincit omnia, ya’ll. In large pot of salted water, boil potatoes in the peel until fork tender but still with a bit of bite. Drain and allow to cool. In the meantime, fry bacon in a heavy pan until slightly crisped. Take bacon out of pan and set aside on a paper towel lined sheet, and drain all but 1/4 cup of fat from the pan. Add diced shallots to pan, and cook in reserved bacon fat until translucent. Add vinegar, honey, mustard, salt & pepper in pan, and heat until hot & bubbly. 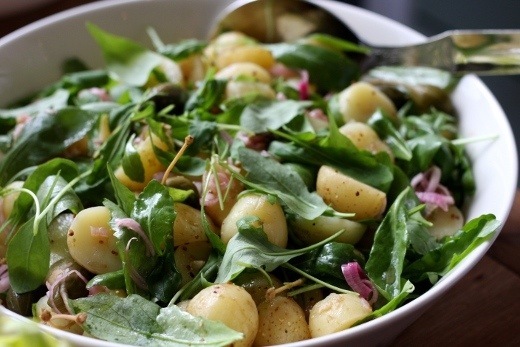 Slice lukewarm or cooled potatoes in 1-inch pieces, and pour warm bacon dressing over them. Gently fold in the reserved bacon pieces and sliced green onions. Top with arugula and gently toss one last time. For extra protein, serve with 2-4 hard boiled egg halves on top. It’s been really toasty here in Southern California the past few days, with coastal temperatures soaring well above 90F… I hate to think what the hinterland must feel like, but then again, I think I know if I take a look at our crowded beaches. I’m blessed to live less than a mile away from the beautiful Redondo Beach pier. These days, a boardwalk stroll reveals an ocean of tanning oil-covered people, shimmering in the sun and trying to get some reprieve from the brutality of the sweltering Summer heat that oppresses the East counties. Every time temps soar, they arrive in droves. Complete with family-size coolers, boom boxes and colorful beach umbrellas, they are masters at weaving an elaborate tapestry of beach towels and Serape blankets… I can’t blame them, their concrete jungle buckles under the oppressing thumb of the inner-city heat wave. At least over here, we have a faint ocean breeze. The recipe below is exactly the kind of dish you want to eat on a blistering hot day like today. The mint makes it refreshing and the addition of crisp cucumbers gives it a cool bite. Throw some shrimp or chicken on the barbecue, and you have a healthy, satisfying meal that will please the whole family. Wash broccoli and pat dry. With a sharp knife or box grater, starting at the top of the floret, grate or slice broccoli into a couscous-like mass. Remove outer leaves of scallions and slice into thin strips. 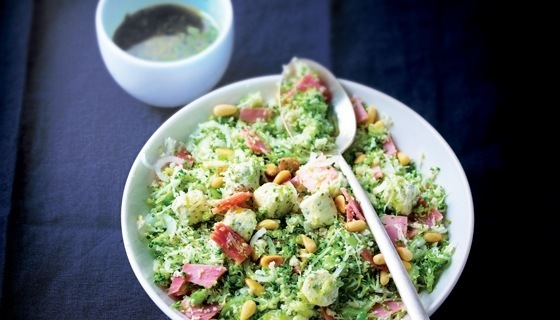 In large bowl, combine broccoli ‘couscous’ with sliced scallions, cucumber dice, cubed feta cheese, cubed ham and toasted pine nuts. Fold in chopped basil & mint. In a smaller bowl, combine lemon juice with olive oil, pesto and lemon zest. Pour over broccoli Tabouli and fold until well combined. Belgian Summers are notoriously finicky. Either the weather stays fairly overcast and entirely too cold for the time of the year, or the country is hit with a sweltering, oppressive heat wave that makes you wish you never cursed the wet dreariness from the past 7 months in the first place. With temperatures generally hovering between ‘%$! @, it’s freezing! !’ and ‘jeez, it’s still raining? !’, most brick homes are not equipped with central cooling either. During these brutally hot summers, windows and doors would be propped open, protected by colorful ribbon-screens to keep flies & bugs out (*), and you’d at least get the illusion of air circulating. Buckled under Mother Nature’s oppressive grip, I swear you could practically hear a faint, collective moan wafting through the air. (*) unless you lived in our home, where a certain someone that I am not naming, thought it was fun to braid those vibrantly colored ribbons together into a visually pleasing work of art, and you’d inadvertently end up with the mother-ship of all mosquito colonies in your house. I’m not proud of it. On those blistering days, we predominantly lived in our grassy backyard, barefooted. I can’t remember a Summer day on which we did not precariously shuffle a tray of plates & silverware to our teak-wood table. Our dinners on these sultry evenings were long family gatherings, in which we’d eat for a few hours by citronella candles and watch the threatening thunderstorms crack & pour down from underneath the comfort of our covered garden patio. The crisp cool air that followed these torrential Summer storms, made it all worthwhile. Requesting a cooked meal on these sweltering days would have sent any respectable housewife into a tizzy, but our mom merely looked us in the eye with James Bond-like ‘cool’ and would calmly announce we’d be having salad for dinner, with some sort of barbecued meat, to distinguish lunch from dinner. For good housekeeping measure. Mom got very creative with salads, and I remember loving most of them. Those summertime salads were also my first introduction to – insert dramatic drum roll here – the mandolin slicer! I think I must have been all of about 7-8 years old when I was allowed to touch one very carefully under the watchful eye of El Commandante mom, and was specifically instructed to always use the protective guard that comes with any mandolin slicer. Ha! The irony. Half & seed cucumbers lengthwise, and slice into very even, medium-thickness slices. A mandolin slicer works great here, but watch your fingers and knuckles. (not that I know anything about that! OK???) Place slices in a colander or sieve, and sprinkle liberally with salt. 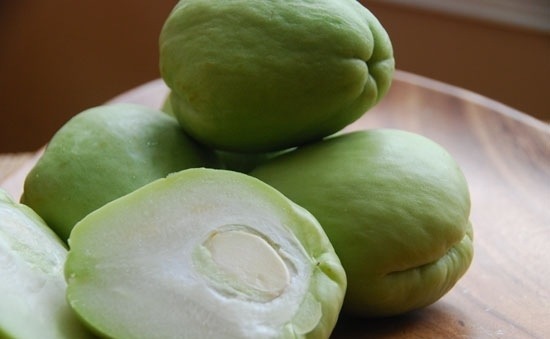 Place something heavy directly on top of the slices of cucumber, and let them drain out 15 min or so bit over the sink. In a large bowl, combine yogurt with olive oil, lemon juice and white wine vinegar. Stir until you get an even consistency, it should be fairly liquid, dressing consistency. If it’s not enough, add a splash of water. Add garlic one clove at a time, and taste to desired garlicky-ness. Add salt & pepper to taste as well. Add cucumber slices and fold until everything is well-coated. Fold in chopped herbs and cover. Set in the refrigerator for at least 30 minutes, so cucumbers have time to absorb the delicious yogurt vinaigrette. 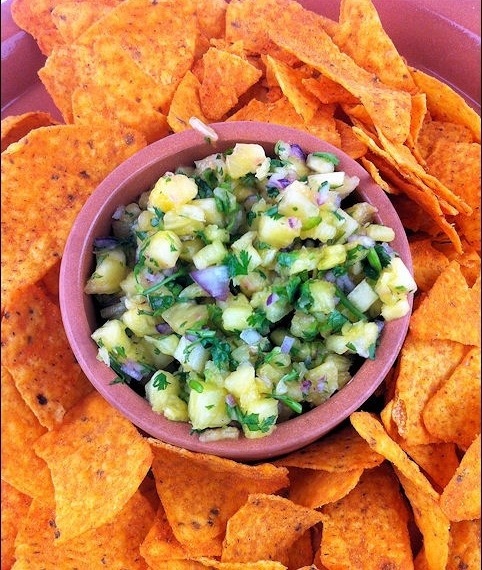 Perfect as a side with grilled shrimp or salmon!